Take advantage of the top-of-the-line floor sanding services of our company and you won’t have to worry any more about the presentable look of your hardwood floors. It is very hard to protect their surface from the grime and the scratches, especially when you often spill different things. 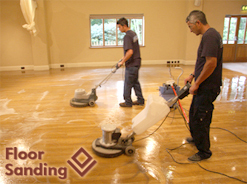 Our affordable floor sanding service, however, will solve your problem. We will send you our experienced and sympathetic specialists for the performance of the procedure and you can consult with them about the condition of your floors. After that they will take care of the removing of all flaws. Call us now or come and book the floor sanding service you need in Wandsworth, SW18. 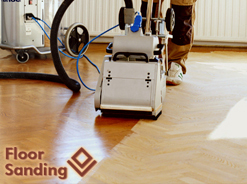 Save money from floor sanding by booking a service with our company. We work every day in Wandsworth, SW18 with a flexible schedule. There is no job that is too difficult for our skilled and reliable sanders. 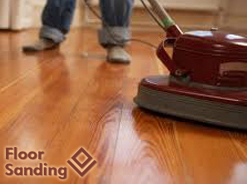 They will provide a thorough floor sanding job that includes everything from gap filing to sealing. Our powerful sanding machines collect the dust and make the cleaning after that much easier. The finishing products we use are not dangerous for our clients or the environment. Call now for more information and a free quote. 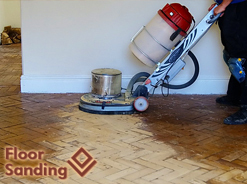 Floor sanding project can be an easy task if you let our floor sanders do the job for you. They will be on your address soon and the modern floor sanding machines they use will reduce the quantity of dust that is usually left after such a procedure. We guarantee that after the service you will be impressed by the smooth look of your parquet or hardwood floor. We achieve that by using edgers, belt sanders, buffers or anything that is suitable for the type of your flooring. Our team of sanders can be found in Wandsworth, SW18 every day. Using our London hard floor cleaning service not only ensures you are left with an outstandingly beautiful floor, but will ensure the prolonged life of your wood flooring. We have had years to perfect our hard floor cleaning business methods, which has earned us the reputation of being one of the best in the business. We are constantly upgrading our methods by regularly attending training courses to learn about more new and modern techniques. We have several cleaning products, ranging from traditional to eco friendly ones. And appliances to suit any type of flooring on the market today. So if you are looking to put the beauty back into your floor, pick up the phone now to book an appointment for one of representatives to come to inspect your flooring.